Linking platforms represent a novel business model to connect demand and supply participants through a digital marketplace. Stoby will address the market of part-time jobs for students. Since part-time working has long been a part of the student experience, a strong demand for such marketplaces is projected to increase in the coming years. Student-working is now recognized as a established fact. Some of the most popular industries that rely on students to do simple tasks are fast food, retail, household activities, baby-sitting services, gardening, hotel establishments, etc. When looking for a part-time job, students will employ a variety of job search methods. Stoby is designed to match two types of users: students and individuals. Stoby web-site is the centre of the product. 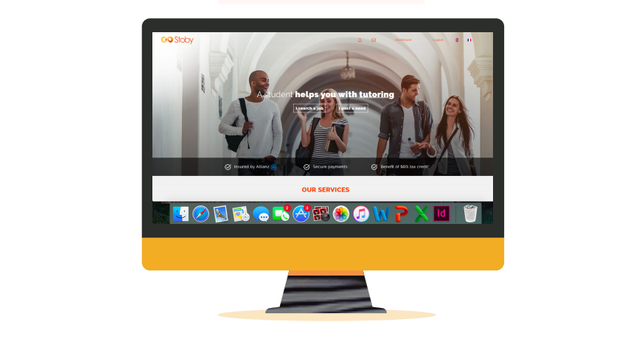 As a multi-sided market platform, Stoby will generate value through enhanced market efficiency while facilitating transactions between individuals and students. More specifically, orderer will first pre-pay on the platform for a particular task. Once the work is done, the amount will be transferred to a contractor. Individuals are not necessary looking for someone who has experience in doing particular tasks, they rather need someone for a simple temporary tasks, such as those connected with housekeeping, etc, in order to spend their valuable free time with family and friends. Generally they need students who are flexible, adaptable and reliable. Premium services will be available for token holders with an amount of more than 7.500 STB tokens. Application process with Stoby is a straightforward one. All tasks will be described in a job advert including time and place. Once the work is completed, a contractor will be given an evaluation and rewarded. Additionally, there is an option to receive a recommendation from a customer. Pre-sale and crowdsale dates will be announced on the homepage of the project by the end of October 2018. Summarizing, the platform will act as an interchange between individuals and students on a marketplace for temporary works. Nevertheless, networking and targeting local businesses are still among the most relevant and popular options to find a temporary job. With respect to social media and web-sites for job hunting, there is a strong competition among such providers in each country. Therefore, job seekers are usually familiar with at least two or three job hunting platforms they would like to register on. 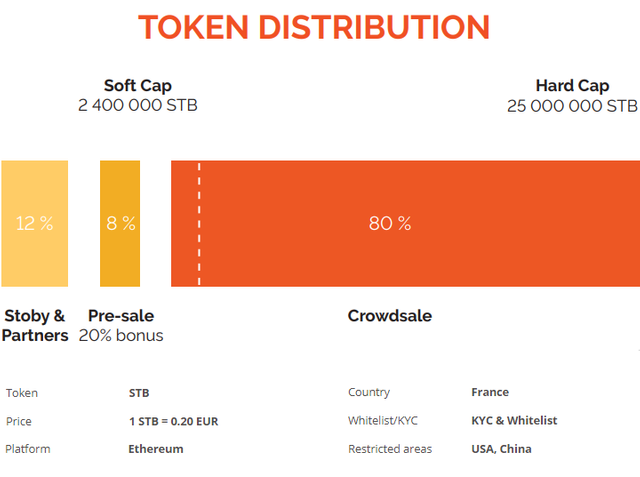 The first that is evident in Stoby is the STB token as a means of transactions. Due to the fact that encrypted tokens have not become a commonly acceptable financial means, the basis for the Stoby’s strategy in the field is an acknowledgment that STB tokens will become acceptable for purchases in the university environment, such as in a library, cafeteria, etc. This raises the question of whether the universities will be interested in the changes, since they will need to accept and convert tokens into fiat currency. Stoby service will be available in France only.